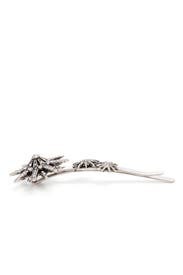 Add a glamorous touch to your hair with this Lulu Frost pin. Silver plated hair pin with three varied crystal stars. 2.5"L x 1"W.
I loved this hair clip! 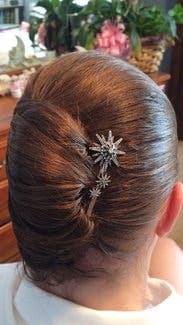 I wanted something sparkly in my hair and this clip did the trick. I had it tucked into my French Twist. Did not pull or catch my hair. I did not use this piece, as I also did not wear the dress I rented with it. However, it is very pretty. I believe it would work best in up-dos (any hair type), and for thicker hair as a side clip. It reminds me of the Great Gatsby era. I was mother of the bride and wore by hair up. So I did not want something to large, but something simple with a little interest. This was perfect. 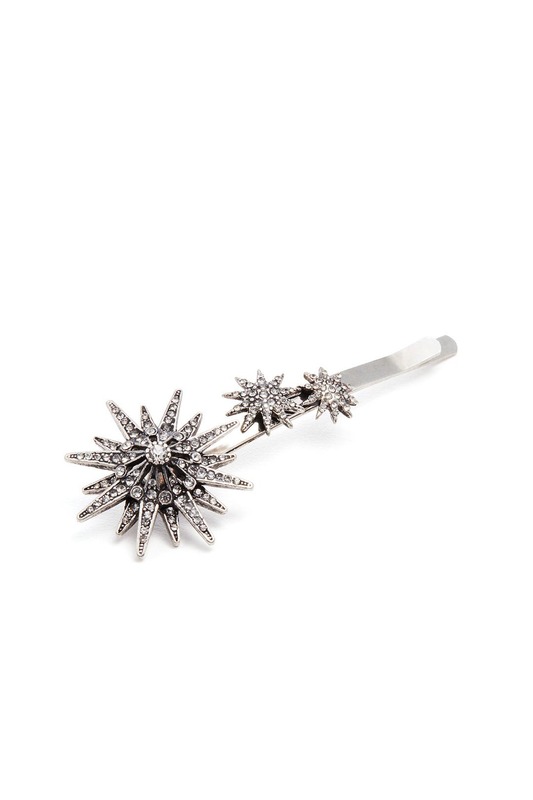 This is a unique hair pin, that adds just a little sparkle! 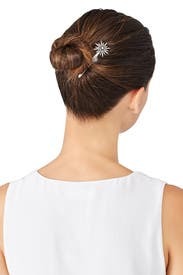 I'm not a fan of big accessories, and thought this was perfect to add some sparkle, but not too much bling to my hair. Perfect clip to accent old hollywood curls. I have a lot of fine hair. The clip itself could not hold my hair back but I pinned my hair back with bobby pin and slid the clip over the bobby pins.